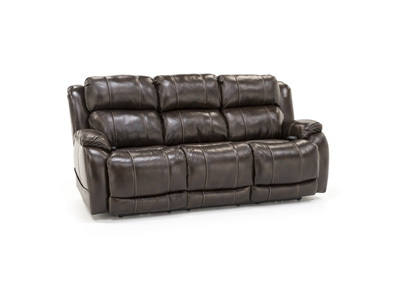 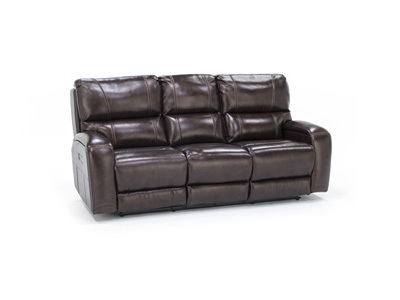 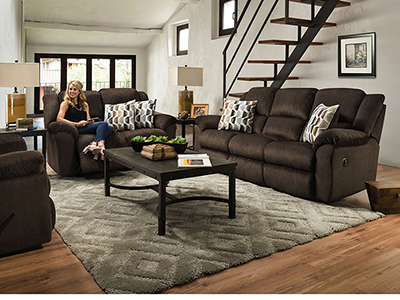 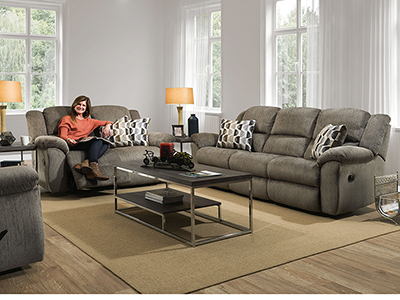 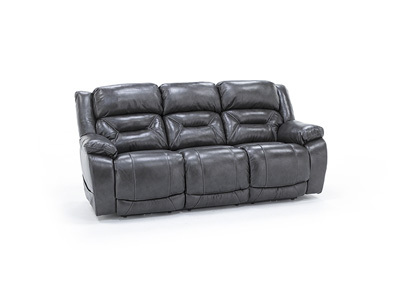 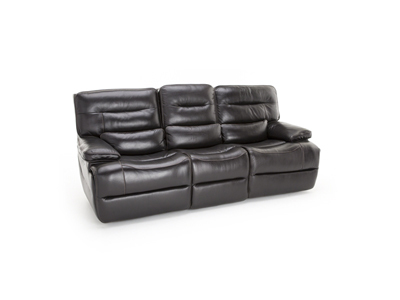 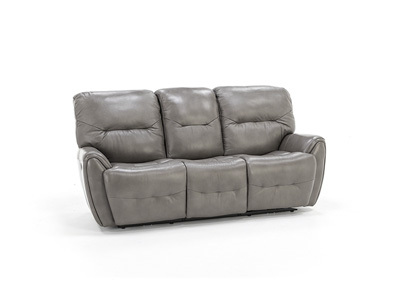 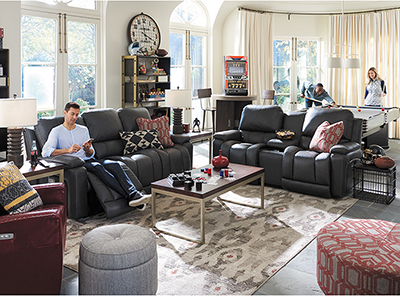 Relax at the end of a long day in the Jacob reclining sofa. 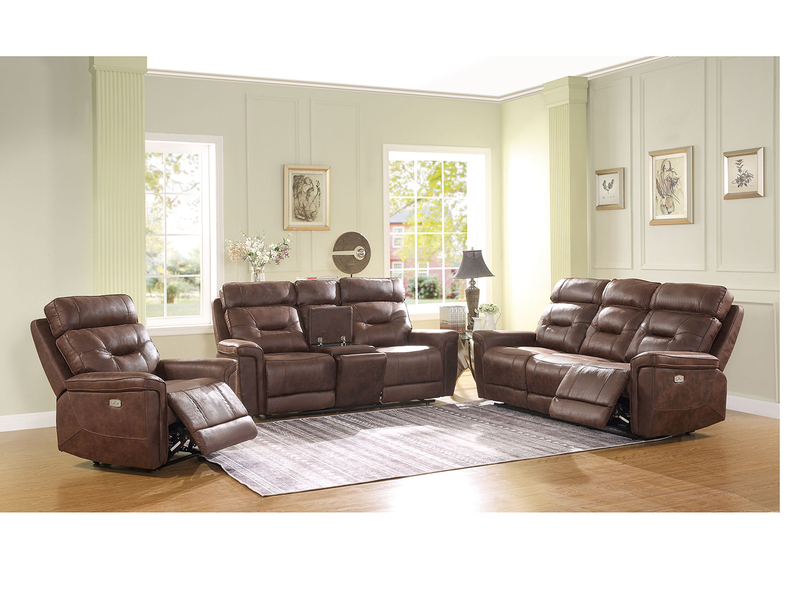 Recline at the touch of the power button, and to add to your comfort, ratchet the headrest to the TV viewing position! 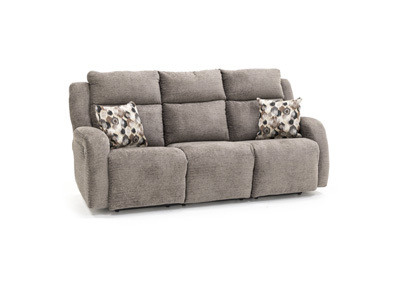 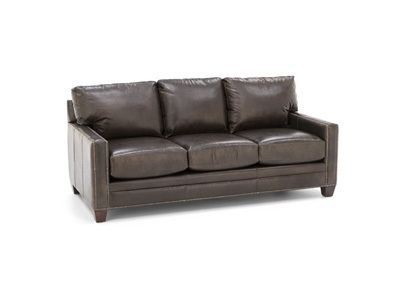 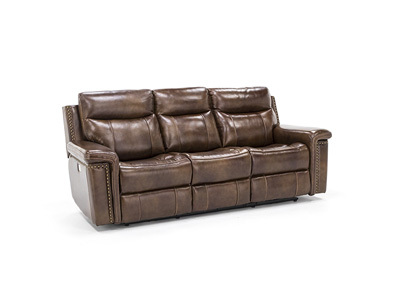 Jacob is upholstered in a sturdy yet soft polyester fabric with a grained effect.